All videos of the current Council and Park Board meetings (since November 5, 2018) will be made available on the City's YouTube account . I am asked frequently why the Park Board doesn't just issue the 420 organizers a permit. Printed below is the Province of British Columbia's regulation controls on cannabis. As you can see provincial regulations do not allow cannabis to be smoked in parks. This along with the Park Bylaw prohibiting smoking prevents the Park Board from issuing a permit. The federal government legalized non-medical cannabis on October 17, 2018. The Cannabis Control and Licensing Act is guided by the Province’s priorities of protecting children and youth, promoting health and safety, keeping the criminal element out of cannabis, keeping B.C. roads safe, and supporting economic development. Where necessary, to comply with Charter Rights and human rights law, exemptions will provide to individuals who are federally authorized to purchase, possess and consume medical cannabis. Business Practices and Consumer Protection Act to recognize that the CCLA is a complete licensing scheme. As previously announced, the Province has decided that the Liquor Distribution Branch will be the wholesale distributor of non-medical cannabis in B.C. and will run provincial cannabis retail stores. Public (government-run) retail sales, both in stores and online. New drivers in the Graduated Licensing Program (GLP) will be subject to a zero-tolerance restriction for the presence of THC (the psycho active ingredient in cannabis). The Liquor and Cannabis Regulation Branch (LCRB) will be responsible for licensing non-medical cannabis private stores and monitoring the non-medical cannabis retail sector. Visit LCRB’s non-medical cannabis retail licence page for information about becoming a non-medical cannabis retailer in B.C., as well as information updates. The Liquor Distribution Branch (LDB) will be B.C.’s wholesale distributor of non-medical cannabis. Visit LDB's cannabis updates page for further information. Some folks are incredibly passionate about using a golf club to whack a small ball around huge swaths of publicly owned land in Vancouver. These recreational golfers enjoy the camaraderie, competition, and peace of mind that come from this activity. But is this the optimal use of 15 percent of municipally controlled park land in the city? Especially when the number of golfers using Langara, Fraserview, and McCleery golf courses has declined by nearly a third since the late 1990s, even as the city's population has risen by 20 percent? Green commissioner Dave Demers hopes park board staff can address these questions in what he calls a "deep dive analysis". Demers has prepared a motion for the Monday (April 15) meeting seeking commissioners' support to direct staff to evaluate "the full spectrum of realized and unrealized benefits of Park Board land currently used for golf". The park board has 187 hectares of land set aside for this sport. Green commissioner Dave Demers hopes other park board members support his call for a "deep dive" into the pros and cons of allocating 15 percent of park land for golf. The park board operates the three aforementioned 18-hole golf courses, as well as pitch and putt facilities at Stanley Park, Queen Elizabeth Park, and Rupert Park. Demers's motion seeks commissioners' endorsement for staff to compare past, current, and expected demands for golf—and the requirements to provide this—with the rest of the board's recreational system. Demers also wants staff to look at ways of aligning managerial, financial, and planning of golf in conjunction with the rest of the park and recreational system. And he hopes that all of this can be occur before the board launches any master-planning process on golf courses. If a majority of commissioners support the motion, staff will return to the board with a report to building on recommendations in the Greenest City 2020 Action Plan, Biodiversity Strategy, and Urban Forest Strategy. The motion calls on the report to also be mindful of Vancouver's Playbook, which is a process that's expected to guide recreational planning over 25 years. According to Demers's motion, it costs adults $59 to $67 to play 18 holes during the peak season. In the off-season, adult rates range from $28.25 to $36.50. Golf is profitable for the park board, with $9.9 million in revenue forecast this year. Park board staff have pegged this year's expenditures for golf at $6.6 million. Demers's motion acknowledges that $300,000 per year flows into a golf reserve fund, which had $516,000 in unallocated expenditures in March. The park board's annual operating expenditures this year are forecast to be $66.5 million. Fungicides are only applied to the greens at Langara (above), Fraserview, and McCleery golf courses. The board's budget does not include an evaluation of the opportunity cost of allocating a significant amount of its land to one recreational activity. "Golf courses require regular grooming (currently by gas-powered machinery), irrigation, and maintenance to provide healthy & resilient playing surfaces (as with all sport playing fields)," the motion states, "and best practices are employed: irrigation water is provided primarily via aquifer or storm water, and fungicides are only applied to golf greens (about 1.5% of the area." We would like to take this opportunity to congratulate members of the False Creek Flats Panel on arriving at a recommended option for an arterial route. Late on Saturday afternoon, after eight days of meetings and deliberations, this committed group residents and business owners completed a process of voting on and ranking among nine possible routes. This decision was grounded in a unique process of learning and dialogue. The top ranked option was National – Charles. Visit the False Creek Flats Community Panel website for a detailed synopsis of the process, led by the Jefferson Center at: fcfcommunitypanel.com (opens in new tab). This best in class democratic process was a first for the City of Vancouver and Park Board, and we would like to thank the participants for their commitment to their community and city through a significant contribution of time and effort on this challenging technical and, at times, emotional question. We look forward to hosting the community panel at Vancouver City Council on April 24 and at Park Board on April 30 to present their findings. City staff will then take the significant public input provided by the report and undertake further technical and feasibility analysis. They will come back in fall 2019 with a full recommendation for consideration by Council. Again, we thank the participants and the convenors, Jefferson Center, for their efforts in leading and completing this important process. Balloons and balloon fragments are the deadliest kinds of marine pollution for seabirds, killing almost one in five birds that ingest the soft plastic, according to a new study published in the journal Scientific Reports. The research, conducted by scientists at the University of Tasmania, examined the cause of death of 1,733 seabirds, 32 percent of which had ingested marine debris. Hard plastics — items like LEGO bricks or straws — accounted for 92 percent of all items ingested. Soft plastics — including packaging, rubber, foam, rope, and balloon fragments — accounted for just over 5 percent of items ingested, but were responsible for 42 percent of seabird deaths. Balloon fragments, specifically, composed just 2 percent of ingested plastic, yet the scientists found that if a bird ingests a balloon or balloon fragment, it is 32 times more likely to die than if it ingests a hard plastic fragment. “A hard piece of plastic has to be the absolute wrong shape and size to block a region in the birds’ gut, whereas soft rubber items can contort to get stuck,” Lauren Roman, a marine scientist at the University of Tasmania and lead author of the new study, told ABC News in Australia. Some scientists have predicted that by 2025, the cumulative amount of plastic in the ocean could reach 250 million tons. Some 180 marine animals — including mammals, birds, reptiles, crustaceans, and fish — have been found to ingest plastic. Even some of the smallest creatures in the deepest parts of the ocean have plastic in their stomachs. Seabirds, which represent a shrinking portion of bird species around the globe, have been shown to consume large amounts of plastic waste, mistaking it for prey such as squid and small fish. Roman and her colleagues say their research could be used to shape future waste management strategies, as well as seabird conservation programs. More than 180,000 people have checked out the Heron Cam since it was launched in 2015. It’s amazing to be able to get a birds eye view of these magnificent birds. The long-legged Pacific Great Blue Herons are nesting again in Stanley Park for the 19th consecutive year! They began returning March 11 to a colony located at the Park Board offices on Beach Ave. It’s one of North America’s largest urban heron colonies. The Park Board Heron Cam is again live-streaming with a birds-eye view of 40 nests until the end of the breeding season in August. Viewers can take control of the camera, zooming in on multiple nests, using different angles. “More than 180,000 people have checked out the Heron Cam since it was launched in 2015. It’s amazing to be able to get a birds eye view of the nesting, courtship, mating, nest-building, and egg-laying of these magnificent birds,” said Park Board Chair Stuart Mackinnon. In 2018, there were 85 active nests and an estimated 98 fledglings raised. This was a higher success rate overall for the colony compared to slightly lower numbers in 2017. The SPES Stanley Park Herony Annual Report 2018 says last year’s return to normal amounts of nest success is likely due to decreased bald eagle predation. While not necessarily directly related, in Stanley Park there were only two successful bald eagle nests last year compared with four successful nests in 2017. This year, we will offer a moderated Facebook Live Q and A, where partners at the Stanley Park Ecology Society (SPES) will answer questions about the herons. SPES will set up a weekly in-person interpretation at the colony to answer questions. The Pacific Great Blue Heron is unique because it does not migrate. Their natural year-round habitat is the Fraser River delta which is under pressure from urban development, resulting in the loss of feeding and breeding grounds. One-third of Great Blue Herons worldwide live around the Salish Sea and the Stanley Park colony is a vital part of the south coast heron population. Heron Cam is a collaborative effort between the Park Board and SPES, who have an Adopt a Heron Nest program which supports efforts to educate, monitor and maintain the herons and protect their home in Stanley Park. The BC SPCA applauds the Vancouver Park Board’s decision to review its pest control management strategies for wildlife and rodents at the city’s parks and recreational facilities. The motion (PDF) was brought forward by Commissioner Stuart Mackinnon and passed unanimously at the Board meeting on March 11. Park Board staff will also assess if it would be possible to incorporate the BC SPCA’s AnimalKind standards for pest control (PDF) into its contracts. The Board raised concerns about rodenticides causing secondary poisoning to animals that prey on rodents and travelling up the food chain, and turned to the BC SPCA to explore alternative methods are available for the humane control of wildlife. The BC SPCA’s AnimalKind standards and accredited pest control companies focus on removing the animals and preventing future problems instead of trapping, relocating or killing. 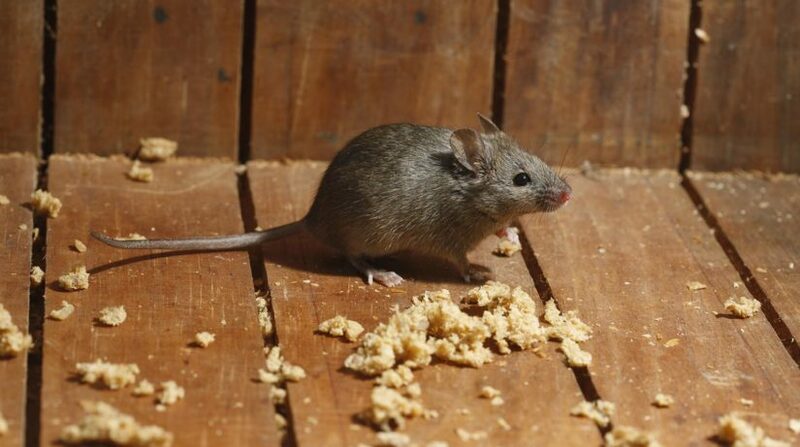 AnimalKind standards also outline best practices for rodenticide use, and note they should only be used when the continued presence of mice or rats is an ongoing threat to human health and safety. AnimalKind is an evidence-based accreditation program that was created in partnership with the UBC Animal Welfare Program, through the grant support of the Vancouver Foundation. Pest control businesses that are interested in becoming AnimalKind should contact the BC SPCA at animalkind@spca.bc.ca for more information. VANCOUVER, B.C. 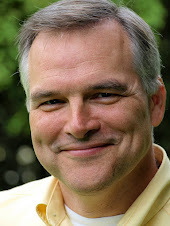 – On Monday March 11, 2019, Green Commissioner Stuart Mackinnon will table a motion asking staff to review pest control management strategies for wildlife and rodents at Vancouver Parks and Recreation facilities. Mackinnon’s motion references the millions of animals who suffer each year from inhumane pest control methods and states that alternative methods are available. Mackinnon’s motion further directs Park Board staff to assess the viability of including AnimalKind standards into its pest control contracts; AnimalKind is an animal welfare accreditation program for pest control companies set up by the BC SPCA. 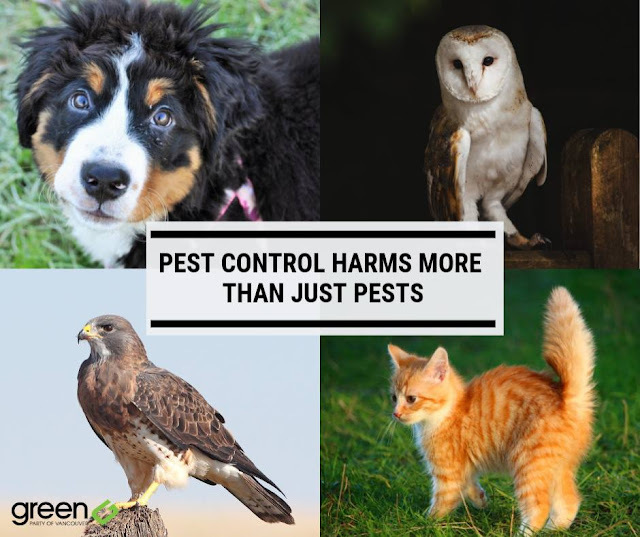 “This is about ending needless suffering; and about preventing the harm or even deaths of animals that aren’t the intended targets of pest control,” said Mackinnon. “Too often animals like hawks, dogs, cats, and owls suffer or die from consuming poisoned animals or the poison itself. All animals, whether they are the targets or not, should be spared unnecessary anguish if we can avoid it. on rodents and travel up the food chain. B. FURTHER THAT staff assess the viability of including BC SPCA AnimalKind wildlife and rodent control standards into pest control contract language. For more information on AnimalKind visit the BC SPCA. Rena Soutar is one of the keynote speakers at Park People’s upcoming Heart of the City Conference taking place in Montreal, June 12-14, 2019. Rena Soutar is the first Reconciliation Planner at Vancouver Board of Parks and Recreation. Register or apply to attend the Conference. For 3,000 years, Indigenous peoples lived on a densely forested peninsula overlooking the Salish Sea in what is now called Stanley Park. It was home to the Tsleil-Waututh, Squamish and Musqueam peoples, and there was a village onsite called Xwayxway, where potlatches were held as late as 1875. Today, Vancouver’s largest iconic park holds little trace of its Indigenous ancestry. The Vancouver Park Board is trying to address these past wrongs. Reconciliation is the goal. It means something unique to everyone, but ultimately it involves building a new relationship between Canadian society and Indigenous peoples. According to the Vancouver Park Board, it is more than a ceremonial acknowledgement of these territories. It is an opportunity to learn Vancouver’s true history and recognize the unjust treatment of Indigenous peoples. The process of reconciliation started in January 2016, when the Vancouver Park Board adopted 11 strategies in response to the 94 calls to action issued by Canada’s Truth and Reconciliation Commission. The strategies include adopting the United Nations Declaration on the Rights of Indigenous Peoples, training staff on Indigenous issues, and establishing a program for artists to create works inspired by reconciliation, including an artist residency in Stanley Park. “Musqueam artist Chrystal Sparrow is the inaugural artist to practice her art in the A-Frame cabin at Second Beach. She has an open house once a week where visitors can learn from her lived experience and cultural insights,” said Ms. Soutar. To further support its ambitious Reconciliation agenda, the Parks Board recently approved a “colonial audit” which will outline its colonial history and seek to formally apologize to the Musqueam, Squamish, and Tsleil-Waututh First Nations for “core acts of colonialism.” The Park Board also hired Ms. Soutar to consult with Indigenous leaders to ensure Indigenous history, values, and memory practices are reflected in its policies and programs. This includes planning new and existing parks. Northeast False Creek Park is one of the first new parks they are working together on. The park is part of a master plan for a large area of undeveloped land around the Georgia Viaduct in downtown Vancouver (the viaduct is slated for removal….RIP Vancouver’s only downtown freeway). Staff are working closely with local First Nations and urban Indigenous communities to ensure principles of cultural practice, ecological stewardship, and visibility of the three Nations are reflected in the park’s design. “Northeast False Creek Park is the first major new park to be designed since the Parks Board has undertaken a commitment to decolonizing our approach. It has resulted in broader and deeper engagement with local First Nations and other Indigenous advisory groups,” said Ms. Soutar. While the Vancouver Parks Board and local First Nations are creating a path forward for working on future parks, they also established a new collaboration on the city’s oldest park, which was once a source of dark history for them both. In 2014, the Park Board received a letter from the Musqueam, Squamish, and Tsleil-Waututh governments, who came together to reiterate their rights in Vancouver – specifically Stanley Park. The Nations had individually sent letters previously, but for the first time, the Board agreed to meet and ultimately to work together towards a long term, comprehensive plan for Stanley Park. One of the Stanley Park Working group’s first tasks is renaming Siwash Rock, a beautiful, iconic rock in the park whose current name implies a derogatory reference to Indigenous people. In First Nations culture, the rock, estimated to be about 32 million years old, represents a man turned to stone to honour his purity and dedication to fatherhood. Jillian Glover is a communications professional who specializes in urban issues and transportation. She is a former Vancouver City Planning Commissioner and holds a Master of Urban Studies degree from Simon Fraser University. She was born and raised in Vancouver and writes about urban issues at her blog, This City Life. Visit Park People for amazing articles and information on urban parks in Canada.